If there's one thing I can say about Maurene Goo with confidence is that her writing improves with each book that she publishes. Since You Asked was decent, not great, but it wasn't the worst thing out there. But with every book her writing gets better, it's more show and less tell, the flow is better, the pace is better, the characters get more developed. This was a light read and I went through it fairly quickly considering I had school and seven other books I was reading at the same time. I really liked the pace of the story, I felt it went by fast enough that it didn't drag. The writing was decent but I think the main focus of this is the characters. Clara Shin is not a very likeable character in the beginning. I'll admit she got on my nerves, I wouldn't have been friends with pre-character development her. But there are also plenty of people like her out there so while I wasn't a fan of hers at the start, it was okay. She didn't really care about other people, or think her decisions through, she constantly did things in an attempt to seem cool even though she didn't realize it at the time. She was constantly acting out and getting into trouble. Her character development throughout the book was my favourite thing, I guess you could kind of call it a coming of age story? Her character development was all very natural and a direct result of the environment that she found herself in. For once she actually stopped and listened to her arch enemy and got to know her and understand her. The bonding that Clara had with Rose made her realize that being genuine and not caring about what people thought about you was better than constantly doing something to be cool. She finally realized how tiring it was to constantly distance herself from everything and act as if nothing bothered her and that it was okay to get excited about things and be sincere and vulnerable. And she finally realized where all of her need to cause trouble came from and talked to Rose about it and sorted it all out with her. The ending where she realized that she didn't want to be like her mom was really good despite the fact that it was pretty rushed. She became a lot more sympathetic and understanding and mature. So yeah, character development was everything. I also really liked the relationships in the book and how they evolved. It was obvious that Clara had more in common with Rose than with her actual friends and that Rose was a lot easier to be around than her usual goon squad (which I agree were pretty annoying, I felt like I was babysitting toddlers sometimes). I liked the friendship between Rose and Clara and how it grew to be healthy from their initial hatred of each other. I liked the romance with Hamlet too, there was no beating around the bush with it but it progressed so nicely and the two of them were so sweet around each other. Hamlet is just in general a really nice guy, he was a perfect example that guys who are ACTUALLY nice guys don't finish last. He was kind for the sake of being kind, he was genuine because there was no point in trying to please people or impress people. When you grow up being the disliked kid, one good thing comes out of it sometimes and it's the realization that you can't please everyone so you might as well do what makes you happy. He was honest and open about his feelings with Clara. And I especially liked how him telling Clara that he loved her (spoiler I guess) was handled. Clara admitting that it's not something that she can say because it's not something that she fully understands or has experienced towards anyone except her dad. 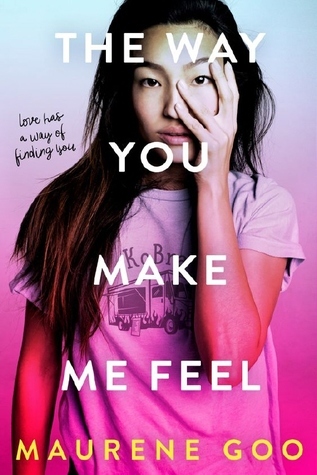 So overall, it was really cute, a light read, and I definitely recommend it.